Most people don’t really think about their stomach acid unless it’s giving them heartburn, but it’s actually very important. Contrary to what Tums ads would have you believe, the stomach and small intestine are supposed to be acidic. Acidity here helps break down food components (especially protein). And it also aids in the absorption of various different minerals, notably calcium and magnesium. But in the name of preventing heartburn, more and more people are suppressing their stomach acid, for symptoms that might not even have anything to do with high stomach acid. Acid-lowering drugs called Proton Pump Inhibitors (PPIs) are the second most-commonly prescribed drug in the United States (just after statins). But this study points out that not all of those prescriptions are actually necessary, or given for the right reasons. And there’s been some interesting research in the Paleo world questioning whether high stomach acid is even the cause of heartburn at all. The problem isn’t acid in the stomach; it’s stomach acid in the wrong place (the esophagus). So is suppressing stomach acid really a solution? Or is it a band-aid for the symptoms that ultimately causes more problems than it solves? One way to look at that question is to see what the upsides of stomach acid are. What do we miss out on when we suppress it with PPIs? The side effects of suppressing stomach acid with PPIs shows how important the normal acidic environment really is. Just to take one example, an increasing number of recent studies have linked PPI use to an increased risk of bone fractures. Here’s a look at some of the potential explanations – low stomach acid can contribute to malabsorption of calcium and magnesium and gut flora disturbances that ultimately rebound on bone health. This study goes over some of the recent work connecting PPIs to an increased risk of bone fracture. Several different studies have found that people who take PPIs are significantly more likely to suffer from fractures, in a way that actually affects real-world risks. For example, this one found that fracture risk was increased in elderly women taking PPIs (particularly important because elderly woman are the group at the highest risk of fracture anyway). But it isn’t just little old ladies; this study found an increased risk in young adults ages 18-29. That’s a big deal, because PPIs are such a common medication, and bone fractures are such a common problem (particularly in women). But it’s not obvious at all how suppressing stomach acid has anything to do with bones or bone health. The first explanation for the connection is calcium absorption. The solubility of calcium (how well it dissolves in a solution) depends on how acidic the solution. The more acidic the solution, the better it dissolves calcium. PPIs decrease the acidity of the stomach and small intestine. So it’s very reasonable that they would decrease the absorption of calcium. The malabsorption route also has a parallel in Celiac Disease. Patients with Celiac have a much higher rate of bone fractures than the general population, and it’s generally understood to be a malabsorption problem. If you don’t absorb calcium (and other important minerals), your diet quality doesn’t really matter. But as common-sense as that is, it doesn’t pan out so well in actual human trials. For example, this study found that women taking a PPI didn’t have any differences in calcium absorption from women who weren’t taking it. But this study only ran the intervention for 30 days and the researchers admitted that many people take PPIs for years. And we know that one other nutrient problem only shows up after several years of PPI treatment: magnesium deficiency. Starting in 2006, case reports started surfacing of another potential danger of PPIs: magnesium deficiency. This review goes over the problem of low levels of magnesium in patients taking PPIs. 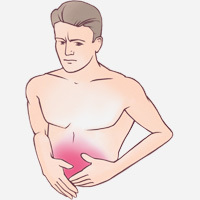 Absorption of magnesium in the small intestine requires an acidic environment, so when PPIs make the intestine less acidic, they impair magnesium absorption. You can’t just go running around without enough magnesium – you need it for all kinds of enzymatic reactions and for very basic functions like muscle contractions. The authors proposed that the body might compensate for the low absorption by taking magnesium out of the bones instead. Magnesium is very important for bone health, so depletion of magnesium in the bone structure could increase fracture risk completely independent of calcium. The effects of this can be slow-acting. It’s not dramatic; the depletion is slow but steady, and symptoms often start occurring years into therapy. Because there’s no really obvious immediate response response, and because the symptoms can com on so late after starting meds, magnesium deficiency caused by PPIs is likely to be very underdiagnosed. The long-term effects of magnesium suggest that the nutrient-related problems with PPIs might take several years to take effect. The study finding no association between PPIs and calcium absorption only gave subjects the PPIs for 30 days. Could longer-term studies on calcium show the same effect? On top of the questions about calcium and magnesium, there are a couple other interesting theories that don’t rely on malabsorption. For one thing, it’s possible that PPIs directly affect osteoclasts (the cells responsible for breaking down bone tissue). In this study, the researchers found that the effect of PPIs directly on osteoclasts was particularly strong in the elderly (basically the worst-case scenario, since the elderly are the people most likely to suffer from fractures anyway). Another really interesting theory is that PPIs affect the gut flora, which rebounds on nutrient absorption or other aspects of bone health. Several studies have already shown that PPIs do affect gut flora balance and potentially make people more prone to developing SIBO and other overgrowth problems, not to mention more vulnerable to the notoriously hard-to-treat C. difficile infection. There’s also a lot of interesting-but-preliminary evidence about gut flora and bone health, and even some studies showing that probiotics improve bone health and reduce the risk of fractures. Could low stomach acid cause changes in the gut flora that rebound on bone health regardless of calcium levels? It’s not proven by a long shot, but it’s possible. Acid reflux and GERD are serious problems, but as a treatment, PPIs leave a lot to be desired, and the side effects of long-term PPI use point out how important stomach acid really is for all kinds of things that aren’t obviously relevant, like bone health. Humans have stomach acid because it’s important – we need it to digest protein, absorb important minerals, and keep our gut flora stable. The bone problems associated with long-term PPI use aren’t fully understood yet, but it’s pretty clear that there is an association. Of course, that isn’t immediately helpful for people who still need PPIs to control symptoms that nothing else can help. But hopefully as the side effects keep being studied, we’ll start seeing more and better treatments that really address the root causes of GERD and heartburn, and don’t have the same dangers.